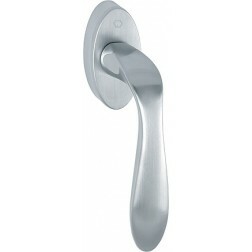 Interior door handle Hoppe model Genova on round rose. 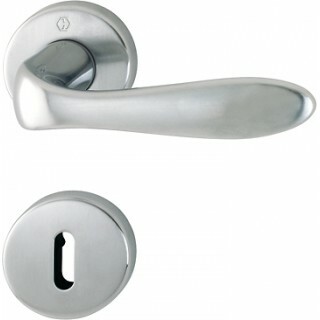 This Hoppe door handle is composed with solid brass and durable return springs. These features give guarantees to the functionality of the components up to 10 years. Handle design is slightly wavy. Surface protected from patent Resista guaranteeing the original shine up to 10 years. Simplified installation thanks to Quick-Fit Connection provided by Hoppe.